In Regalado v. Callaghan, defendant was a subcontractor with a license to do concrete jobs and wanted to build his wife’s dream house according to court records. In order to save money on the project, defendant chose to be the owner-builder of his new home. According to the relevant state regulation in the jurisdiction, an owner-builder can personally obtain all necessary permits and serve in the place of a general contractor in terms of responsibility on the project. Once he had obtained the proper permits, he did all of the concrete work himself and then hired subcontractors to perform the other needed work. He hired another contractor to build a pool and spa in the home while it was still under construction. Defendant did not want any excessive noise coming from the pool equipment, so he wanted contractor to construct an underground vault for all of the pool and spa machinery. Contractor purchased a prefabricated vault for this purpose. The two men installed the vault, which had a hole in the top of it for people to enter and exit. Defendant then put some type of collar on the hole, and this allowed him to burry the vault deeper underground. He then covered the hole and collar with a mesh grate. There were no gas lines on the property, so defendant hired a contactor to runs lines from the service location to the vault. The natural gas contractor was not required to obtain permits for this job, as the owner-builder was responsible for that. For whatever reason, defendant wanted propane for a backyard pool heater instead of natural gas. The gas contractor normally warns customers not to use propane in a vault, because it is dangerous, as it is heavier than air. He could not recall if he warned him on this occasion. The gas contractor ran a line to where the pool would eventually be and capped the line. 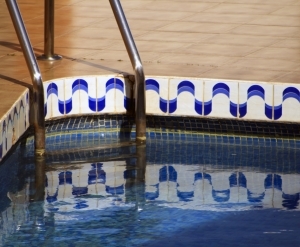 About a year later, defendant wanted to have the pool completed, but he could not use the same pool contractor, because he was too busy on another project. He hired another pool contractor, and their employee was seriously injured when he was attempting to install the pool heater. He was actually in the vault when the propane exploded, and he was blasted into the air and severely burned. He sued based upon a theory of premises liability. The plaintiff was awarded around $3 million in damages, and the defendant appealed this verdict. The basis for appeal was that defendant argued the court is required to instruct the jury that a person who hires a contractor was not liable for any injuries to the contractor’s employees unless defendant affirmatively contributed to plaintiff’s injuries. He also argued there was insufficient evidence among other grounds to appeal. On appeal, the court rejected all of defendant’s arguments and affirmed the trial verdict. One thing you can discuss with your Boston personal injury lawyer is how Massachusetts handles premises liability cases somewhat differently than most of the country. In the Commonwealth, the court will generally apply the standard elements of a negligence case with foreseeability as the main factor in whether a defendant owes a duty to a plaintiff.